Our newly created Laura Ashley studio features all the main products from the Laura Ashley Classic range of bathroom ware. The collection features gorgeous hand painted bathroom furniture, with stunning marble and granite worktops. 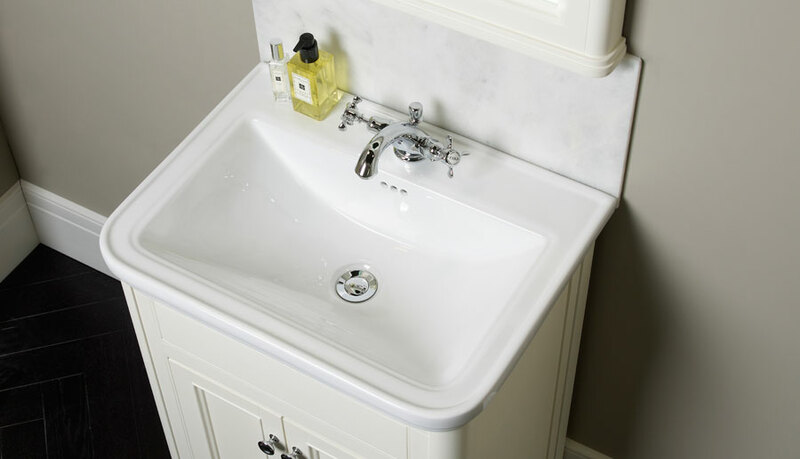 Their sanitary ware spans from classic to contemporary, and they have an assortment of beautiful taps, designed to complement the range perfectly. Laura Ashley has long been a household name and one of Britain’s most successful design exports internationally. The brand began back in 1953 with Laura Ashley and her husband Bernard Ashley. They have long combined a rural aesthetic with the lifestyle needs of inner city living. With the growth of retro, vintage and heritage styling, now is the perfect time for traditional English brands such and Laura Ashley to shine. With the classic romantic, country style emulating through all of their designs, the bathrooms from Laura Ashley are truly elegant and timeless. To create the collection, Laura Ashley teamed up with bathroom industry experts Roper Rhodes. The varieties of bathroom products form Laura Ashley are beautifully designed, well considered and full of thoughtful details. Featuring bathroom furniture, cabinets and mirrors, hand painted in neutral soft greys and off white or constructed in solid oak, with worktop options including polished marble and granite. We think the Laura Ashley bathroom ranges are beautiful, which is why we have our lovely new studio featuring our favourite items from them. If you love the elegant, traditional country style, look no further than Laura Ashley. And if you are looking for a bathroom supplier in Nottingham or Mansfield, Solutions Bathroom and Kitchen Centre is the place for you. Our team are all experienced in the world of bathroom supplying and we will be able to advise you each and every step of the way.